30 W. Mission St., Ste. 7. Call 252-6137 or visit bodhipath.org. 7000 Marketplace Dr., Goleta. Call 968-1370 or visit borders.com. 3400 E. Hwy. 246, Santa Ynez. Call 686-4152 or visit chumashcasino.com. 1214 State St. Call 893-3535 or visit granadasb.com. 960 Embarcadero del Norte, Isla Vista. Call 893-3536 or visit myspace.com/magiclantern. 695 Ashley Rd. Call 969-9990 or visit lotusland.org. 5871 Hollister Ave., Goleta. Call 967-0907 or visit myspace.com/mercurylounge. 529 E. Gutierrez St. Call 560-0597 or visit sonneblauma.com. 1760 Mission Dr., Solvang. Call 688-4815 or visit missionsantaines.org. 211 Helena Ave. Call 966-5906. 735 Anacapa St. Call 963-0611 or visit santabarbaraca.gov. Paseo Nuevo Mall Upper Arts Terrace, 653 Paseo Nuevo. 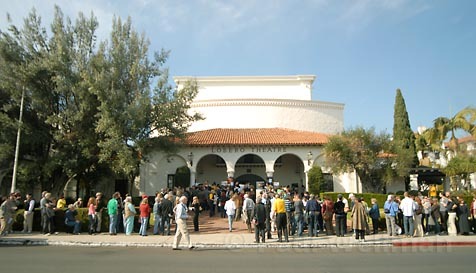 Call 966-5373 or visit sbcaf.org. 113 Harbor Wy., St. 190. Call 962-8404 or visit sbmm.org. 3630-H Sagunto St., Santa Ynez. Call 698-9188 or visit daughterofzion.net. 1500 State St. Call 965-7419 or visit trinitysb.org. Call 893-2064 or visit aspb.as.ucsb.edu. Call 893-2951 or visit uam.ucsb.edu. 1535 Santa Barbara St. Call 965-6273 or visit ussb.org. 33 W. Victoria St. Call 730-1038 or visit victoriahalltheater.com.